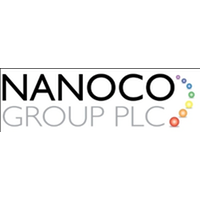 Nanoco Group PLC (LON:NANO) Chief Financial Officer Brian Tenner caught up with DirectorsTalk for an exclusive interview to discuss their recent contract extension, revenue visibility, additional commercial agreements and what to look out for in the coming months. Q1: On Friday, we saw the announcement that you have signed a contract extension to deliver additional services and materials to the undisclosed US Company. Can you just remind us of the work you are currently doing with them and the new services that you will provide there? A1: So, we’re basically working on two different work streams. One I’ll refer to as generation one so that’s an existing new product with enhanced performance, we had to prove it at a lab scale for a customer in the US who has remained unnamed at this point. Once we’d proved it at a lab scale, we then had to prove it as a scale-up level and that ultimately will lead to commercial production. In parallel with that, the customer actually funded us to build a new production facility so, if you like, the handover from R&D and scale-up will eventually be given to the new production facility which was substantially completed at the end of December 2018. In parallel with that generation one materials, we have been doing some R&D work for the customer on the next generational materials which would have a different materials set with enhanced performance. So, that’s what we have been working on. The contract extension then actually continues on the generation one piece of work, if you like, and that will take us through to commercial production some time in the second half of this calendar year or the first half of the financial year 2020. Q2: Can you talk to us about the financial implications of this contract extension and what it does to revenue visibility for this financial year and next? A2: The contract spans two financial years, it runs for a full calendar year so from January ’19 to December ’19. So, I just want to make sure I’m clear that when I’m talking about financial years, I mean to the end of Nanoco Group’s financial year which is July 2019. We started this year and we said that our revenue was going to double this year and we had, at that point, just over £3 million of revenue that was already contracted. Signing this new contract extension basically fully underpins that doubling of revenue and the consensus revenue forecast has got a range of £6.7 million to £7 million this year. So, you can see from them that this extension adds roughly £3.5 million to revenue in the current year. We’ve also said it gives a similar amount of revenue to next financial year so FY20. It’s also important to note that unlike some of our previous work, it’s not linked to deliverables or milestones, we just have to provide the ongoing service to the customer. So, whilst we do have to provide that service, it’s pretty secure revenue. So, as I say, roughly £3.5 million on to this year and a similar amount onto next year. Q3: We know there are a number of active discussions for additional commercial agreements, are you able to give us any further detail on those? A3: We can’t name customers or potential customers at this stage but what we can say is we’re looking or talking to a number of different either customers or supply chain partners across a range of applications. So, you may have seen recently that we announced a collaboration with Plessey on microLED’s where the combination of their technology and our quantum dots will allow a reduction in the size of a microLED by more than 80%. Also, in display, we are continuing to talk to some end customers but also additional supply chain partners on potential new licence agreements. Again, we are continuing to support and talk to our existing licence partners in the display sector. On top of that, we are talking both to end users and lighting manufacturers and designers in the horticultural lighting market, both in the UK and also in North America, it is early days there, but the initial conversations have started. Finally, in our life science business, that’s where we produce dots that can be used in the detection of different types of cancer in the human body, we recently hired a new Business Development Director. They have already started some initial conversations with some potential development partners to be able to take forward that life science application. So, as I say, it’s early days, we’re not in a position to announce any new customers but we are in active conversations with them. Q4: Finally, what should investors be looking out for over the coming months from Nanoco Group? A4: Well, our interim results will be out on the 9th April, at that point in time we should be able to provide an update on both the continued delivery against this new contract extension with the US customer but also those commercial conversations that we mentioned are ongoing. Clearly, if any of those come to fruition, we would expect to be able to make an announcement about it but as I say, the main thing to look out for is our interim results on 9th April.